CC900 three flute Compression Cutters are manufactured from high quality, solid carbide and have both up and downspiral flute action. The addition of the third flute reduces the chip size and heat generated during cutting. Heat build up on the tooling dulls the cutting edge. Three flute cutters can contribute to higher cutting speeds and /or extended tool life. 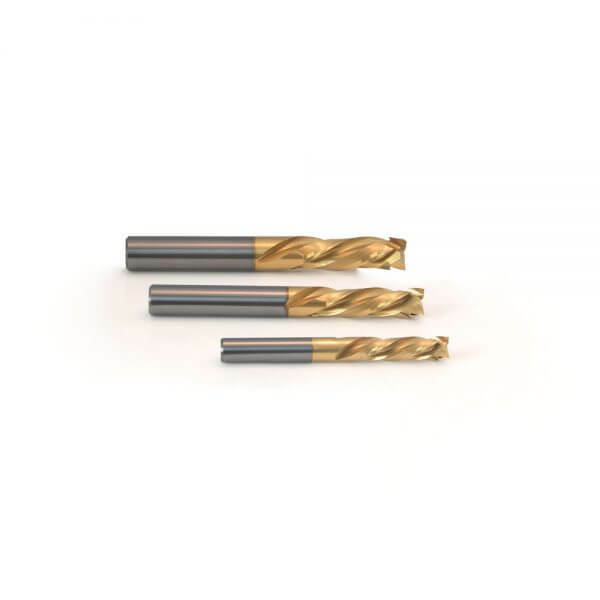 CC900 cutters are designed to produce a first class edge finish on both surfaces of sheet materials widely used in woodworking and cabinet making. The CC900 cut length must match or exceed the thickness of the sheet material to be effective. The use of a sacrificial board is essential.